The Sacrament of Confirmation is a moment of initiation into the Church, for the purpose of mission to the world. As a sacrament of initiation, Confirmation completes baptismal grace and enables candidates to live the mission of the Church more readily. Within the Diocese of Richmond, the appropriate age for preparation and reception of the Sacrament of Confirmation is when an individual is both at least 15 years of age and enrolled in at least the tenth grade. 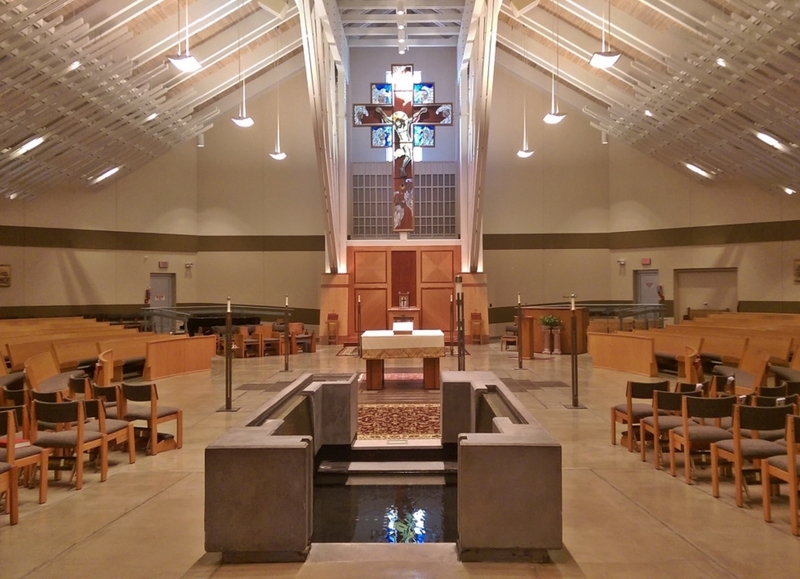 The Confirmation Liturgy will be celebrated at 7:00 pm on Friday, May 3, 2019 at St. Bede Catholic Church, Williamsburg. All bolded sessions are required for both parents and Confirmandi. All sessions are 6:30 – 8:30 PM in the Mary Fisher House unless otherwise noted. If your teen is at least 15 years of age and is enrolled in at least the tenth grade please contact Andrew McCarthy for information regarding the 2019-2020 Confirmation program. Confirmation preparation will begin in late August 2019.